Tierra Hosting offers a reliable OpenCart hosting service. We offer a single-click OpenCart installation directly at signup, a 24x7x365 customer care service and a 99.9% uptime guarantee. You can order an OpenCart-optimized web hosting plan for only $3.25 per month, along with a brand new domain name. 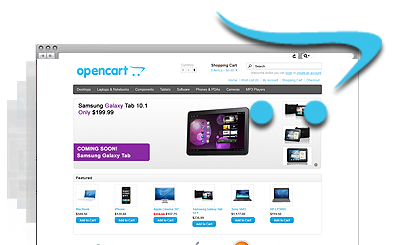 OpenCart™ is a registered trademark of OpenCart Limited and is not affiliated with Tierra Hosting. OpenCart hosting made easy with Tierra Hosting! Tierra Hosting satisfies all criteria for hosting OpenCart-driven e-stores. Tierra Hosting offers an exceptional client support service. The average trouble ticket response time is twenty mins.